Duet Display was already a great app for using your iPad Pro as a second display for your Mac, and now its latest update makes it a proper graphics tablet, too. The new version supports Apple Pencil angle and pressure sensitivity, so you can draw in apps like Adobe Photoshop without having to invest in Wacom’s Cintiq tablet. You can use Duet with other iPad models, too, but you won’t get Apple Pencil drawing support. 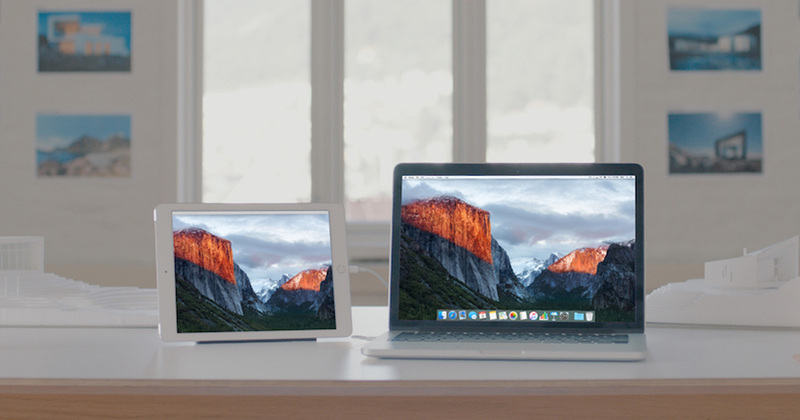 Duet Display cost US$19.99 a year, but is temporarily available for $9.99, so grab your copy now. A related question, (kind of), has anyone come across an iOS (iPad) app that lets a user create a bunch of buttons on the iPad that can “control” a Mac ? Sort of like a remote for your Mac ? I’d love to be able to recycle a 1st Gen iPad into a “ginormous” remote for my Mac. That would be great but that’s not what the article says. The article says it’s $19.99/yr reduced to $9.99, implied per year as well. Looks to me as though duet is a one-time purchase, and “Pro” is in-app purchase for $19.99/year (currently on sale). I have used the standard one a few times but not heavily. It worked fine for me (2015 13″ MBP, Air 2). It’s nice to have extra space with the 13″ MBP screen. I find Duet incredibly buggy and would advise nobody to touch it. On the several occasions I’ve tried to use it, it lead to real, hard crashes on my Mac, such as kernel panics. And glitchy displays on my iPad when trying to use it too, to the point where it’s kind of useless. A good idea, badly implemented. Maybe it’s not even possible to implement it we’ll. Geoduck, someone else will come out with a similar app and make it a one time purchase. There may already be one or more. So 2 separate products basically. 9.99 gets you the standard copy, but if you want all the bells and whistles for the iPad Pro and the pencil then you have to get the PRO version which is an in app purchase for 19.99/year. You really had me going until I realized it was rental software. This is exactly the kind of thing I hold up as an example of what’s wrong with rental software. $9.99, even $19.99, fine, it’s worth it. But a year from now it will be the same package doing exactly the same thing and they want me to pay for it all over again.